For the original file, click on the image. Provide your company name in “occupation”. For the number of “3. Separately shipped items”, provide the total number of items delivered by air, ship, or mail. In case separately shipped items make multiple shipments, provide its number. For “Alcoholic beverage”, “tobacco”, “perfumes”, and “other items” on Side B, provide the number, quantity, and item name, only if you carry them. Please make two copies of the current sheet. 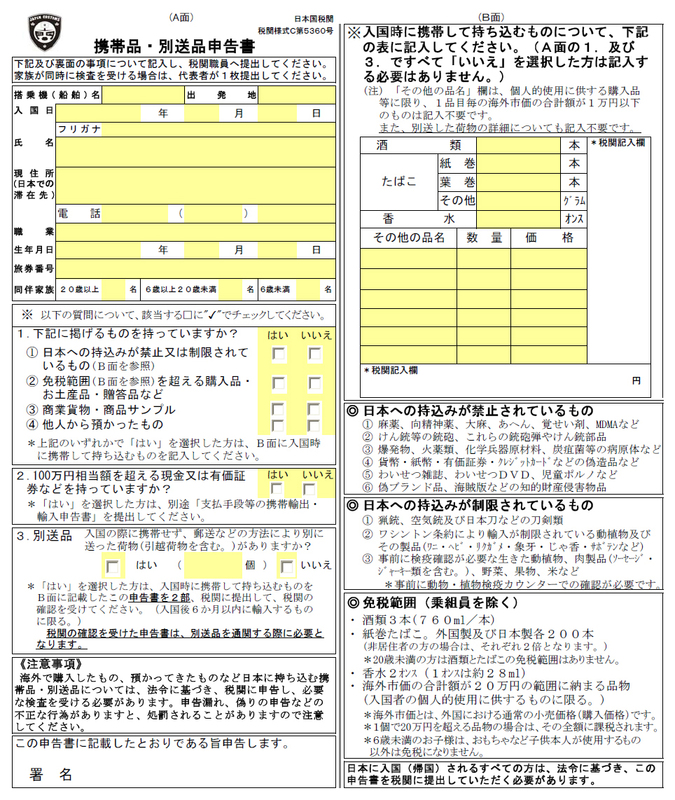 Please obtain an authorization stamp from customs, and submit it together with the original copy of customs clearance. The citizen of Korea with permanent residency in another country, who permanently comes to Korea or intends to live in Korea for more than 1 year for employment, etc. Applicable only to those who have not lived 3 months or longer out of the residence of 6 months or longer outside Japan in other countries including South Korea.